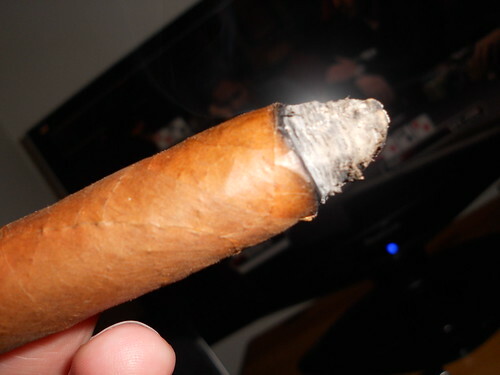 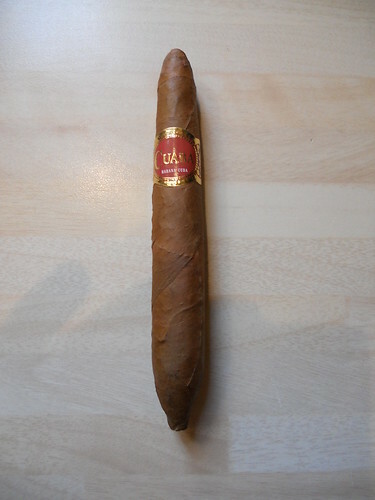 The <strong>Cuaba</strong> brand is well known for it's pointed shape at the end of the Cigar. 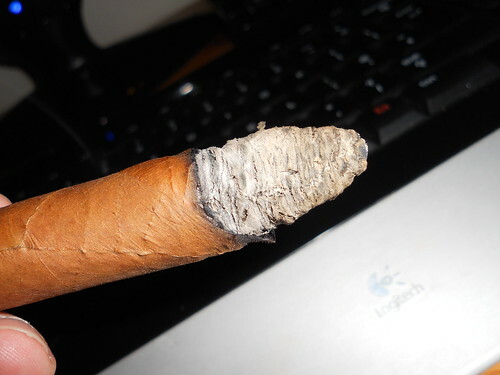 Known as a <strong>figuardo</strong>, all Cigars in the Cuaba range come like this. 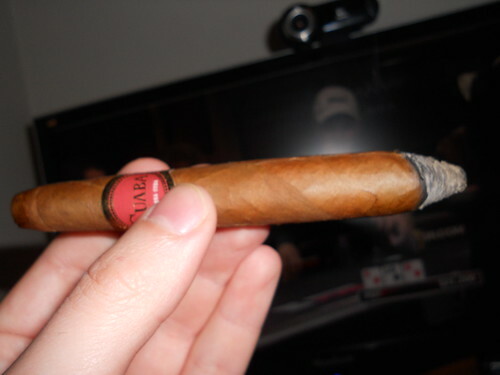 I was gifted this <strong>Cuaba Generosos</strong> during a Cigar trade and was happy to try it. 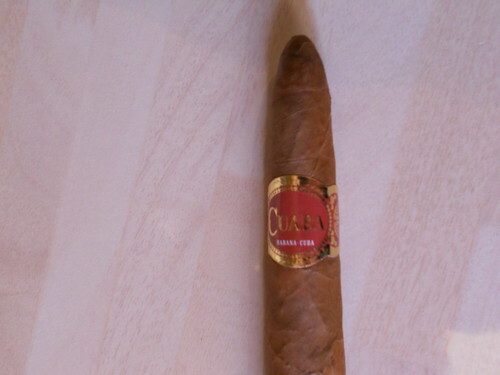 An interesting Cigar. 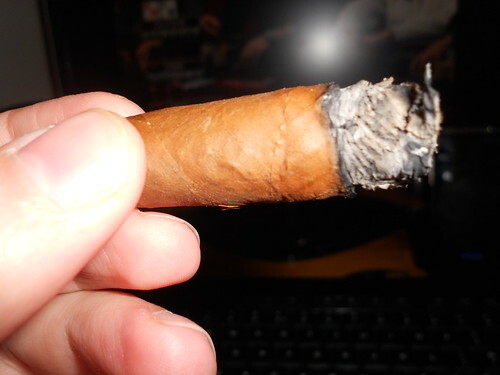 Although the flavour profile with primarily tobacco, there was this wine element that I could taste that was very seductive. 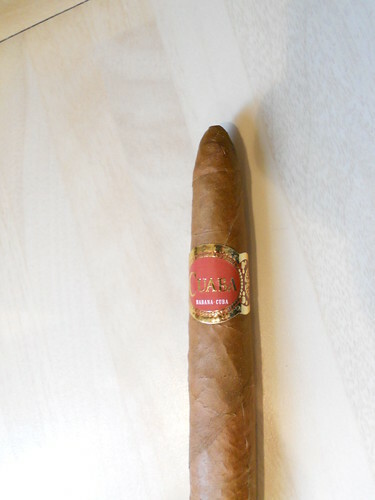 It was very difficult to put my finger on exactly the flavour but it was there. 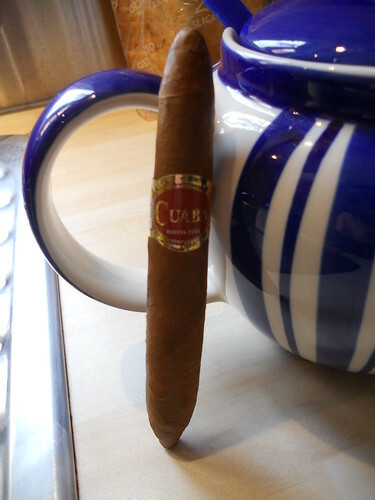 The Cuaba Generosos leaning upwards against a teapot. 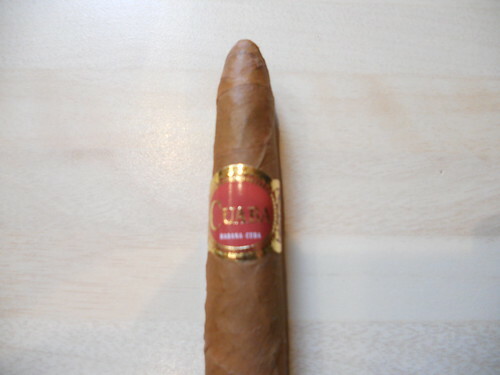 After a slow start, the Cuaba Generosos potential starts to emerge, with a complex tobacco and wine element.